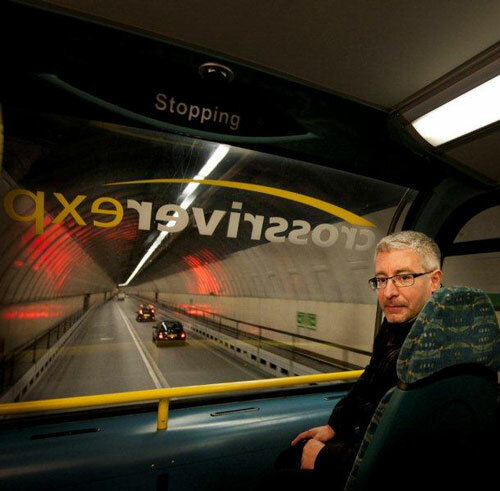 Alan compiles CDs of artists’ audio works on themes such as the Mersey Tunnels, revolution or numbers, with contributors including Pete Wylie, Yoko Ono, Andy Warhol, David Bowie and Carol Kaye. I was born and brought up in Glasgow by an engineer and a secretary who ran evening classes in art in the local community centre. I grew up loving art and football, in that order, and my teens were soundtracked by the Liverpool of the Bunnymen, Wah!, Teardrops and OMD and by watching Dalglish and Hansen on TV. They never performed that well for Scotland so I got the idea that Liverpool must be a magic city. I studied at Glasgow School of Art and the Art Institute of Chicago then left Scotland in 1991 to explore a few different cities. I ended up in Merseyside in 1994, with Brigitte and my two kids Heidi and Zak, one a red, one a blue. Apart from that, I was Under-13 Player of the year in 1981, the first gig I went to was the Cocteau Twins at Glasgow Empire in 1983 and my desert island discs would include ‘Pale Blue Eyes’ and John Cage’s ‘4’33’. Q: Can you tell us a little more about the ethos or thinking behind your work? My work tends to be free, accessible, somehow refer to the ‘real world’ I see around me and usually take a few years to make an impact. I do a lot of collaborate work too and spent six years as lead artist with tenantspin at FACT and developed content with high rise pensioners, the Communist Party of Liverpool, ethical bankers, Mike McCartney, Margi Clarke, Jayne Casey, UFO spotters, John ‘Spoons’ McGuirk and Bill Drummond. The Rooney billboard I did at the Bluecoat in 2004 while he was still at Everton sums up what interests me, making works about things we find on our doorstep but seeing them from new angles. I’ve been more recently working with sound and I put together the ‘Soundtrack for a Mersey Tunnel’ CD while travelling on the 433 bus every day through the Wallasey tunnel. It was a collection of tracks that lasted exactly 2’33, the length of time it takes to cruise through the tunnel. I worked with Chris Watson who does David Attenborough’s sound recording, I arranged to record poets in the tunnels when they were closed and set up a choir of tunnel workers. I’ve also done a CD for the Williamson Tunnels and one about revolution, one about the colour grey and one about the number 4. I raise funds for these CDs and give them away free of charge around the world. 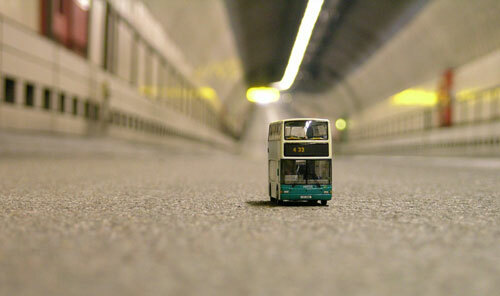 The Mersey Tunnel ones for example were given away from the tollbooths. Q: How/when did you start making art? My dream was always to go to the imposing building at the top of the hill in Glasgow’s Sauchiehall Street, the one up behind the cinema that was Charles Rennie Macintosh’s Glasgow School of Art. I was actually working for Britoil on a school placement writing computer programmes for oilrigs, but my heart wasn’t in it so I followed my ambition of going to art school. I spent six years at Glasgow School of Art, surrounded by future Turner Prize winners like Douglas Gordon and Martin Boyce and some of the radical community artists of the early 1970s. It was hard work, challenging and genuinely life-changing; we were in the studio from 8am-8pm virtually every day. There was a strong work ethic and sense of not waiting for people to offer openings, but making your own instead. When I was 19 or so my gran marched me into Easterhouse Housing Office and said ‘my grandson is great at drawing, give him some work’, which they did and I was soon cutting my teeth in community art. For ten years after graduating I did workshops with the Big Issue, Wirral Drug Service, European Special Olympics, libraries across Manchester and primary schools in Bootle. Q: What brought you to Liverpool? I came here because of work and a real curiosity about the city. Since moving here the city has been incredibly influential for me and very supportive and provocative; it keeps me working hard and it keeps me grounded. I was taught to be alert in the gaps between home and work. I also get inspiration from listening, working with people like Chris Watson, lecturing in contemporary art three days a week at Leeds Metropolitan University to 20 year olds, parenting a 12 and 14 year old, reading, the Internet and other artists such as Bill Drummond or Yoko Ono. I recently had a short train journey with Liverpool artist John O’Shea and hearing about his work was very inspirational. Q: What do you find inspirational about Liverpool? It never seems quite finished, there’s always flux, building sites, projects coming and projects going, people leaving, people arriving, it feels like one big urban station under construction. I also like the loyalty of some people that have been in their jobs for a long time, such as Bryan Biggs at the Bluecoat, people that have really given a lot to the city. I also like how people that were highly influential in the 1980s are still contributing to the cultural landscape too. Q: What would your dream project be? I don’t think in terms of dream projects – if I have an idea I go all out to make it happen. There are however some projects that got away and I recently wrote an article for Ben Parry’s book ‘Cultural Hijack’ outlining some of them such as the billboard artworks that would appear in a Brookside script or my 6am tightrope walkers in Bold Street. Q: Do you think there is enough support for emerging artists? I think you have to make your own support sometimes and Liverpool has always had incredibly interesting energetic artists and creatives. What is always useful is for Councils and private agencies to trust emerging artists with funds and it’s crucial that influential people sitting in seats of influence (eg funding agencies) actually get to know some of the artists who apply for funds. Q: What do you like/what would you change about the Liverpool art scene? I like that it is very diverse and not just focused on one particular visual arts venue or scene. I also like some of the ideas emerging from the Wirral and St. Helens in recent years from artists such as Phil McHugh or Claire Potter. There is also a really interesting young Liverpool artist called Michael Jenkins who is studying at Leeds just now, he produced some work for the recent ‘Democratic Promenade’ exhibition at the Bluecoat. His piece was around the tradition of ‘sleeping on the rope’ and on the opening night, both Michael’s dad and Ken Dodd shared some time on the rope. I really like those cultural moments and experienced a lot of them while working with the sadly missed John ‘Spoons’ McGuirk. Q: What can we expect from the work you’ll show at the Liverpool Art Prize exhibition? I’ll be showing a set of seven CDs that I have put together, allowing people to hear rare and amazing material from locals artists, David Bowie, Russian poet Irina Ratushinskaya, ex-Pogue Jem Finer, Mexican rappers, youtube amateurs and revolutionaries. There will also be display cases of related objects, including a fragment from Apollo 8 that was flown around the moon in 1968 and an illustration of the Mersey Tunnels from a 1951 Eagle comic. I am also aiming to develop a new live performance piece with Pete Wylie & Jeff Young for the opening night. Q: What other exhibitions/shows/events are you looking forward to in 2012? I’m looking forward to the European Championships, spending a couple of days at Bill Drummond’s Curfew Tower in Antrim, a family holiday in Cyprus, Documenta 13 in Kassel and I’m developing a big project with Jeff Young for this year’s Open Golf Championship in Lytham. Q: Where do you see yourself in 5 years time? I am great at Lego.